This week I am working on a quilt for my daughter and her husband. The first of 25 blocks is completed. 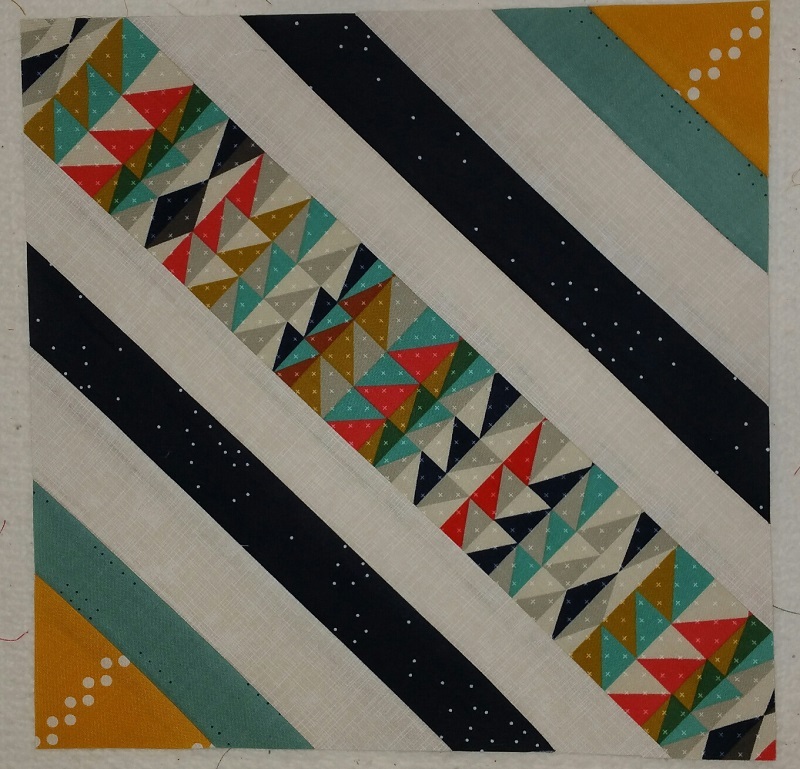 This quilt is made with fabrics from Cotton + Steel fabrics that were purchased last year at Rosie's Calico Cupboard. I like how the first block has turned out, and this will be a very modern quilt. Pattern is from Denyse Schmidt. See more inspiration at Patchwork Times. Yes, it will be modern, never seen this pattern before, I like the colors you choice, it will be lovely, and I am sure your DD will fall in love with it.